Whilst racing triathlon professionally husband & wife couple Claire & Kent Horner began “My Training Day”. What started as a small online coaching business, My Training Day has since grown into one of the biggest coaching academies in South Africa. We are currently coaching over 250 athletes with a team of other coaches both nationally and internationally. We were also honoured to be selected as one of the finalists for the CapeTalk Small Business Awards in 2013. 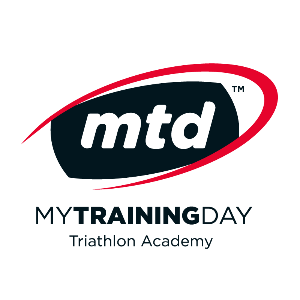 The My Training Day triathlon academy is for all athletes beginner to Elite. Each training program is personalised to suit every type of athlete from your disadvantaged athlete to your top corporate businessman. The coach takes into consideration the athletes time constraints; goals; weaknesses; age etc, and formulates a training plan that the athlete can follow building up to a particular goal. This goal can be as simple as completing a 5km run right up to qualifying for the Olympics. We also offer nutritional plans and advice to complement the athletes training plan as well as squad training and one-one-one technique sessions for those athletes wanting to fine tune their technique. We are especially passionate about helping others reach their full potential and over the past 9 years we have had the opportunity to deal with many different clients. When an athlete joins MTD it is not only a training program that they are receiving, it is a complete lifestyle change. We have watched many clients go from couch potato, overweight, smoking & drinking with little or no direction in life, to avid athlete finishing Ironman. As their coach, we walk the journey with them and guide them along the way. Success. Coach Claire Horner & Kent Horner has been notified of your message.